There are certain products out there that make travel easier, or just simply interest, those who enjoy traveling. 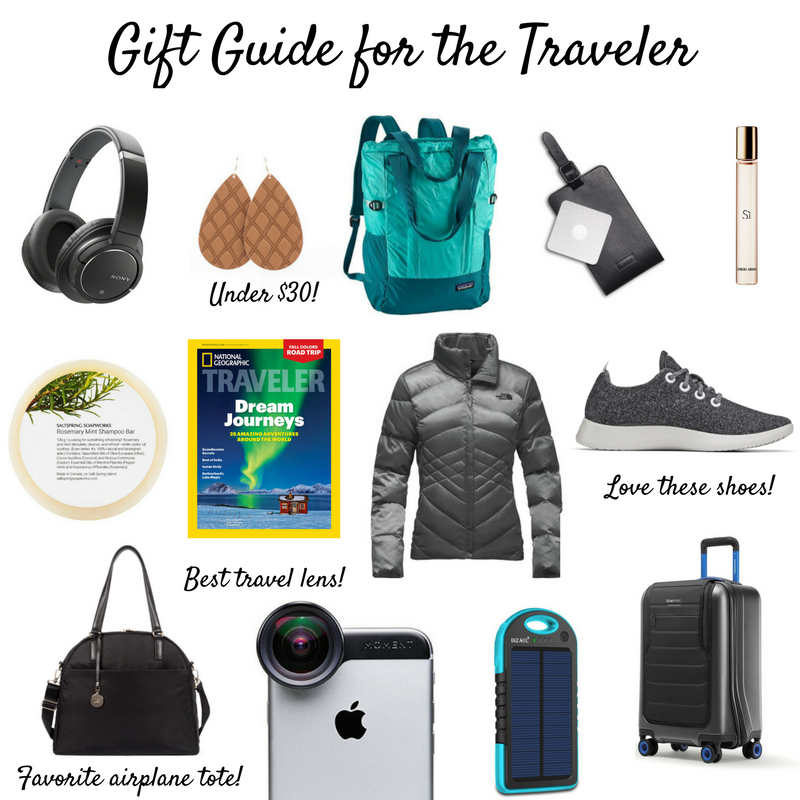 If you’re looking for a gift for a travel guru, besides just giving airline vouchers (which I’m sure are just as appreciated), here are some options. Everything on this list is either something I own and use, would personally gift a travel-lover, or is on my own list! A good pair of headphones when using any kind of public transportation (plane, train, bus). Get a pair that is noise-cancelling and wireless for sure! THESE are the ones I have. Having a good airplane tote is probably one of the most important things when traveling. Lo and Sons has excellent ones for both men and women that have plenty of pockets and are great quality. They carry both backpacks and totes for whichever you like best. I carry THIS one with me literally everywhere… when I travel, to the gym, and even for work. This is for the ladies out there. You can’t pack all your jewelry when you travel, so you’ll need to be strategic about packing pieces that can go with a lot of different outfits. These earrings from N&S are light-weight and have so many different colors and styles! These are on my wish list. You can use these Tiles for so many things which is why I love them. When you travel, it can act as a luggage tracker… I always like to know where my bags are or be able to “inform” TSA where it is if it gets lost! When you’re at home, use it to find your keys, laptop, or anything else you may misplace from time to time. My Patagonia daypack is one of my absolute favorite things I travel with. It folds up super small so I can toss it in any bag. And while I’m exploring a new place, I carry it with me as a tote or easily transform into a little backpack with straps for more adventurous excursions. I recently started using THIS shampoo bar when I travel instead of the normal liquid kind (I was a little apprehensive at first), and I have to say it’s been pretty great. It lasts for SO long that way I never have to worry if it has enough shampoo for my trip. It’s also one less thing to worry about spilling everywhere. I got THIS case for my bar and just pack a little bottle of conditioner (I don’t use a lot and unfortunately haven’t seen a conditioner bar out there on the market just yet). A subscription to this magazine is about $10 for a year and it’s my absolute favorite place to get travel inspiration! Yes, I could just look on their website (or a million other sites), but their print version is so much better and I love just sitting down to flip through it, reading each page while brainstorming where we’ll go next. I feel like this is self-explanatory, but having a warm jacket that’s also able to be rolled small and packed well is so important. The down feather ones are my favorite because they insulate very well yet can be packed easily and aren’t bulky. I recently got myself a pair of these runners and absolutely love them for traveling (and just daily life too)! I wanted a pair of shoes that were comfortable to wear walking around airports or exploring a city, looked good with a lot of outfits, were light-weight, and didn’t look like I was wearing an athletic shoe. Plus, I wanted the option to be able to do a quick workout in them. These All Birds fit all my criteria. The other pair I was considering were THESE Toms. I personally love physically reading books but they take up a lot of space in a bag. Audible allows you to listen to audiobooks on the go and a subscription to the service is such a great gift for the traveler! It would really come in handy when you’re using public transportation too. Rather than packing a nice bottle of perfume or cologne and risking it breaking (because not everyone cares for your luggage like you do), a lot of brands offer a rollerball version too which is travel-friendly. There’s a lot of “smart” luggage out there these days and I’m personally not a fan of it because I’d rather have a separate charger than included in my bag BUT if you are a fan of it, THIS is one of my favorites. It allows you to track it, weigh it and, lock it all from an app on your phone. Another brand that has something similar is Away which has a built-in battery for charging your devices in the carry-ons (just make sure to remove it before boarding a flight!). 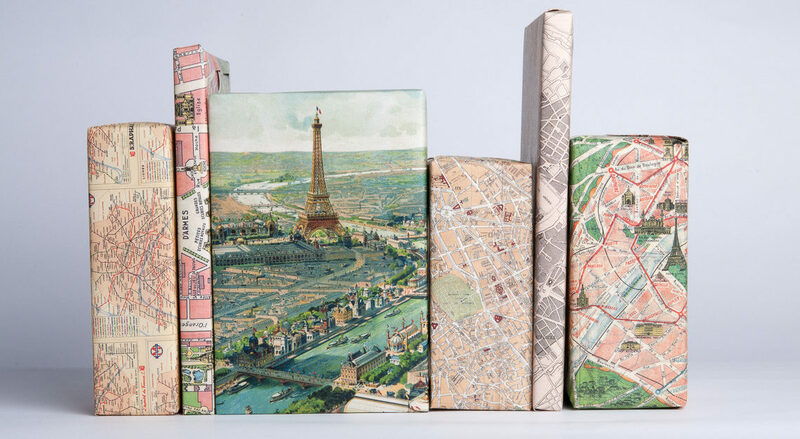 If you know someone who is more of the adventure traveler, they’ll really appreciate this gift. Not every hotel or hostel has fresh towels waiting for you in your room (just trust me). But if you carry your own, you’ll always have one. Make sure to get one like THIS that folds small for packing and is also fast-drying. Power banks are perfect for long flights and far off destinations where electrical outlets may be inaccessible. I have one that has to be charged using an electrical outlet and am looking to get one like this for more adventurous occasions that I can strap to my backpack. Nice cameras are pretty expensive and, if you’re traveling, can be a burden to carry around. But at the same time, you’ll want to take great quality photos of your travels. My solution is using the Moment Lens attachment for your phone. You’ll likely always have your phone with you and these are for real the best! They’re small but excellent quality and it’s what I use for our travel photos.